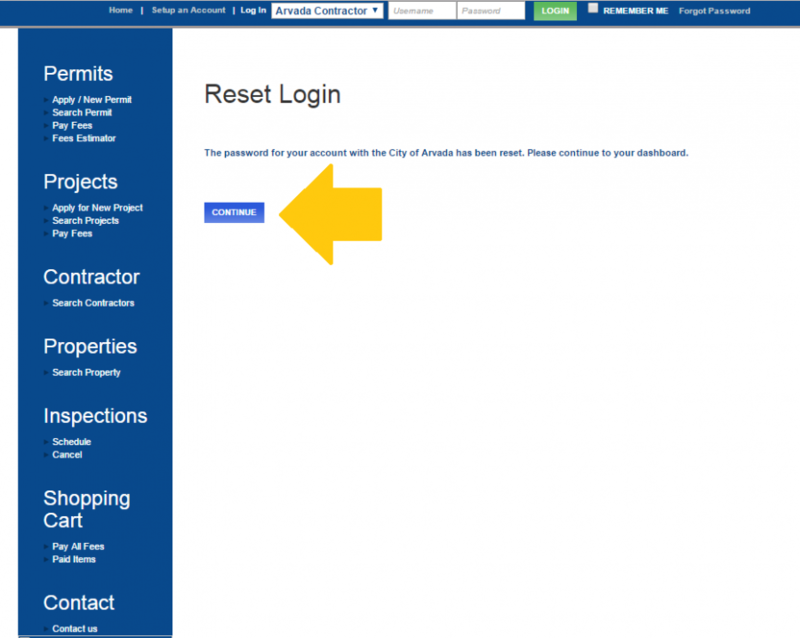 At arvadapermits.org Contractors are requested to log into the system using their Arvada license number (starts with AEC). If you are new to the system please continue to the steps for "New Contractor". The steps below will show you how to successfully log into the system with your contractor license if you are a returning user. 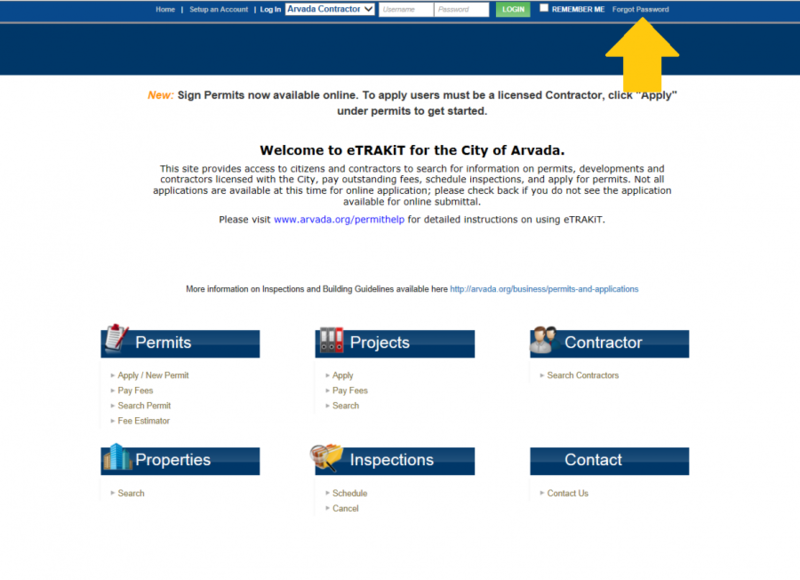 Note: Your contractor's license must be active with the City of Arvada to use the eTRAKiT system. 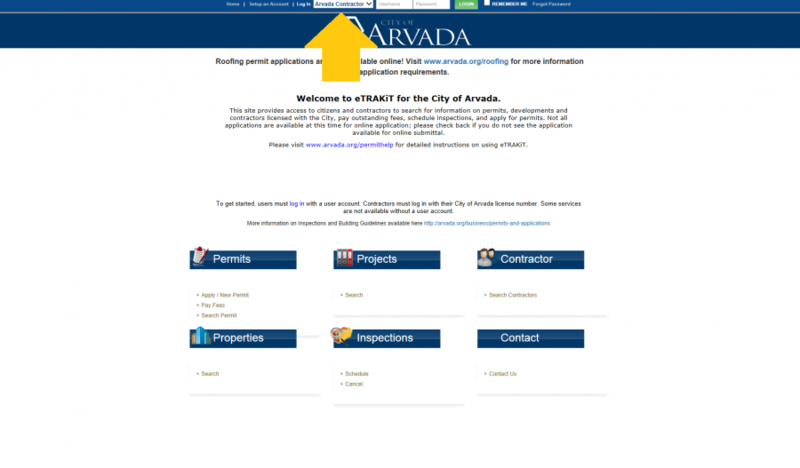 Once at the homepage for arvadapermits.org, at the top of your screen find the text box next to "Arvada Contractor". Enter in your Arvada license number. Enter in your Arvada license number in the text box that says user name. Enter in your password. If you are new to the system you will have a temporary password that was provided to you at the time of your license issuance. Click "LOGIN". Note: If you are logging in for your first time or it has been 90 days since you last password change you maybe prompted to update your password. Create a new password using a combination of letters and numbers. 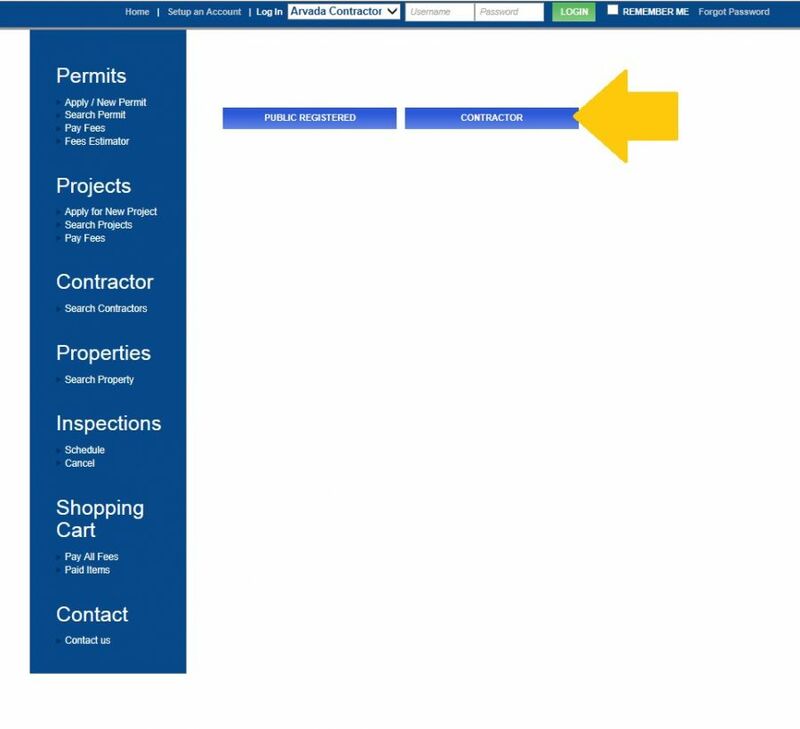 If you are new to the eTRAKiT system you will need to change your password before applying for permits or scheduling inspections. Review email for reset link. An email will be sent to the user account that was provided at registration. When email is received, click on the “Reset Password’ link within the email. Create new password and security questions. 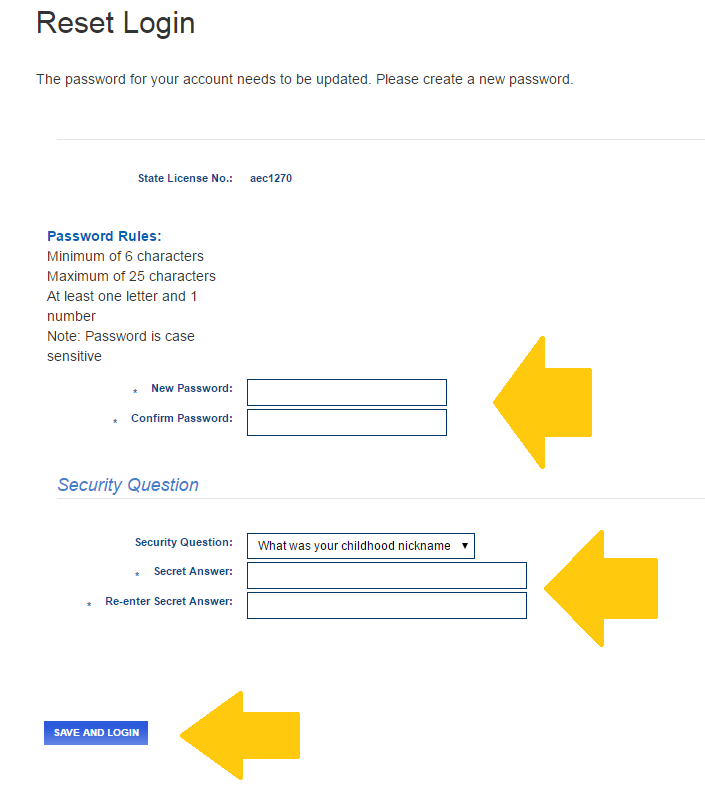 You will now enter a new personal password for your account and set two security questions. When finished, click “Save and Login” at the bottom of the screen. 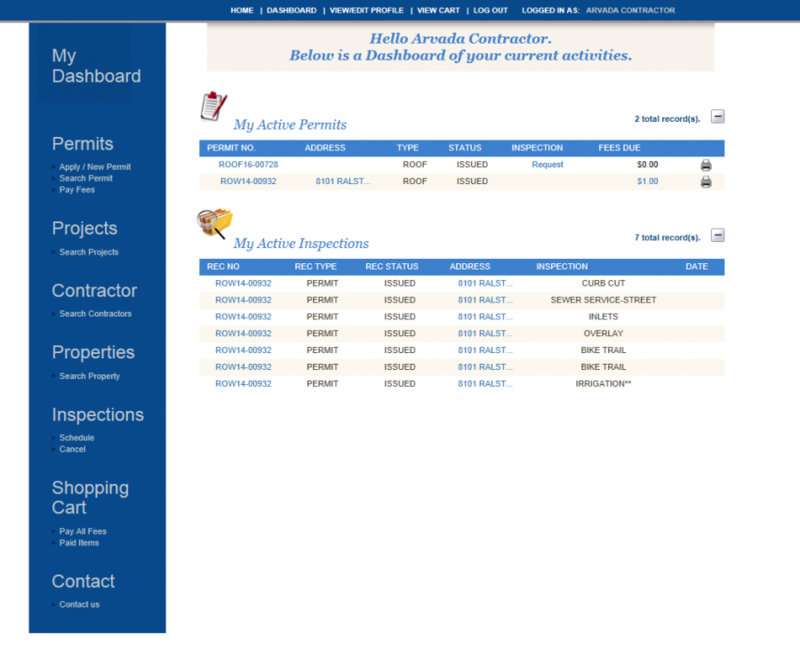 Click “Continue” and you will now be logged into your account and ready to apply for permits and schedule inspections.